The Shorts Brothers founded their company in 1908 after they heard news of the Wright Brothers flight and the opened a factory on Sheppey Island in 1909. By 1913 the success of the company and their seaplanes meant that they required a larger site and purchased 8 acres of land in Rochester that had direct access to the sea. in 1915 the first factory buildings were completed, along with a slipway down into the sea. During World War One, the site produced close to 1000 planes and seaplanes. Between the Wars, the Company was awarded the contract to build the Sunderland Flying Boat which went on to become one of the most successful seaplanes as an antisubmarine warfare plane. By the time of World War Two, Shorts Brothers had run out of space at the Rochester site and requested permission fro the Ministry of Aircraft Production to building an underground factory to accommodate new machine tools. The tunnels were originally excavated/extended by the Short brothers in September of 1941. The new factory space was to provide an extra 12000 sq.ft. 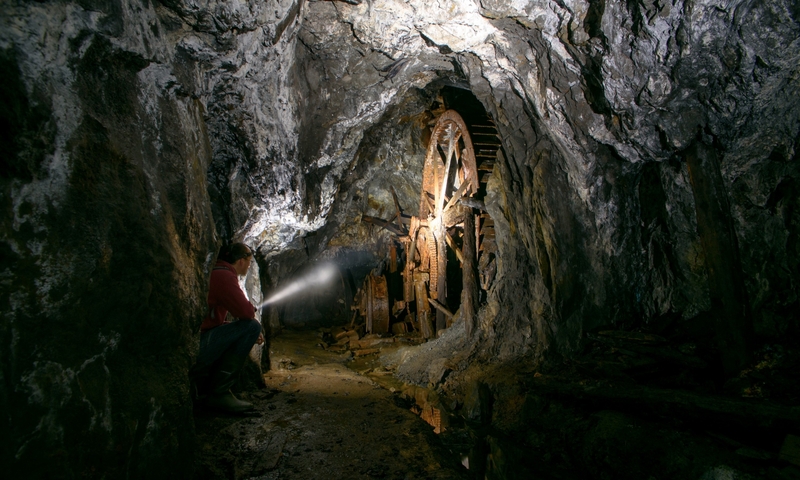 of workspace for the company – this was created by two one-hundred metre long tunnels, connected by four seventy-five metre tunnels that met with the cliff face. At the eastern end of the tunnel complex the company built an extensive network of air raid tunnels which consisted of two parallel tunnels both three-hundred metres in length and connected by fourteen crosscuts. There was a hospital and three vaults constructed within the network; this network was connected to the Shorts factory by a singular four-hundred metre tunnel. The success of the Shorts Sunderland won the company the contract to build the countries first four engined bomber, the Shorts Stirling, as well as the Shorts Shetland Seaplane. After the war the demand for seaplanes waned and Shorts closed all of their Seaplanes Factories. Shorts Brothers moved themselves to a new site in Belfast. in November 1947, the Rochester site was purchased and conveyed to the Ministry of Supply in April 1948. The site was used by various companies in the intervening years and the tunnel sections were leased to various engineering firms. Blaw Know where the most significant occupier, and the existed at the site until the mid 90’s, when the site was closed and demolished.